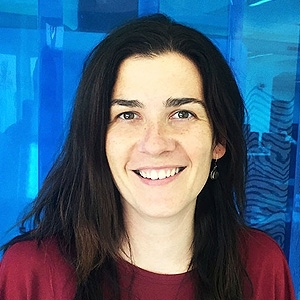 Esther García holds a doctorate in Telecommunications from the University of Malaga, and she is CEO and cofounder of ENESO, a technology-based startup that is currently in the Andalusian Open Future acceleration program. She has been one of the winners of the "Innovators under 35 Award" granted by the magazine MIT Technology Review in its 2016 edition. Through her company Eneso, she has developed enPathia, a device which allows the user to control a computer through head movements. This is especially useful for people who have lost movement from the neck down, such as tetraplegics. ENESO has also developed a series of products, amongst which Verbo, a pictogram-based communication tool for people with autism, cerebral palsy or any other disability which limits speech, which has made the company an international reference in this area.